Charge is a UK based bicycle company specialising in simple yet functional bicycles and frames with a distinct and contemporary styling. Charge frames are designed with carefully selected tube sets specifically chosen for the individual purpose. Charge products are designed to inspire their customers to get out there and ride, no matter what type of cycling they are into. The mainstay of Charge’s portfolio is made up of steel and titanium tubes from renowned tubing makers Tange. 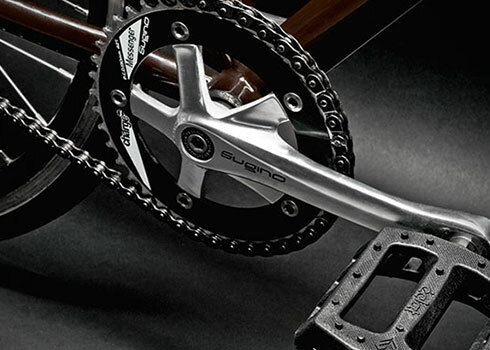 It covers everything from cutting-edge titanium mountain and road frames to simple fixed gear bikes. Charge aims at being a breath of fresh air in a world of generic hydroformed aluminium and carbon, and expensive, complicated dual suspension. Their product range is completed by a great choice of components (including bars, hubs, grips, saddles, wheels, forks, and much more) designed to lead the way in performance, aesthetics, and durability. The Charge Plug designed for Carharrt is a simple take on a simple bicycle, an understated classic which looks and rides great. 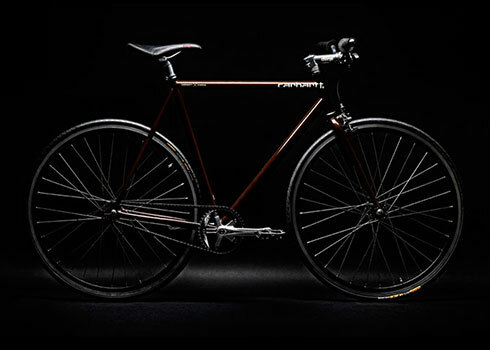 This bike is the perfect urban vehicle and works as a single speed bicycle, freewheel, or fixed gear. Delivered as single speed it is easily converted into a fixie with just a few tools. The flip-flop hub on the back wheel can be turned around. 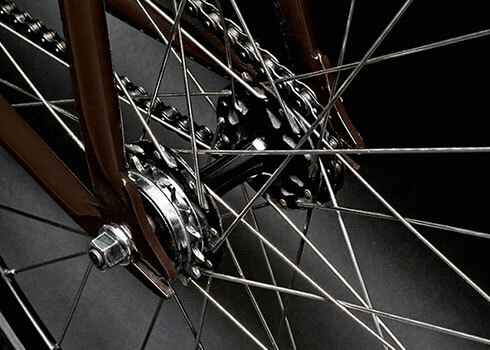 With a single speed on one side of the hub and a fixed gear on the other side, you just have to turn around the back wheel, remove the brakes, and the result is a classic style fixed gear bike. Magic! !